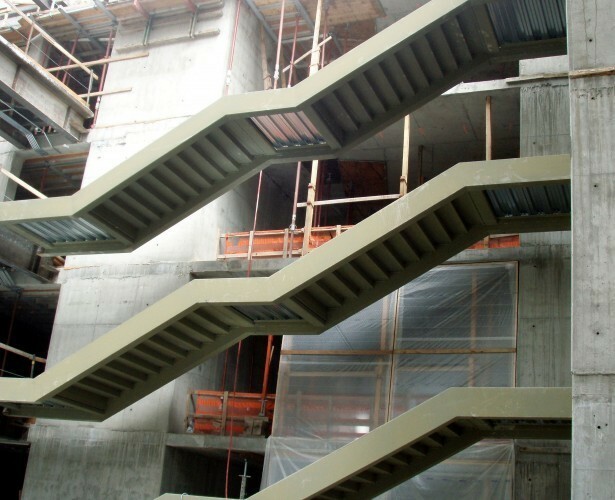 This LEED Silver project involved multiple structures for two separate contractors. 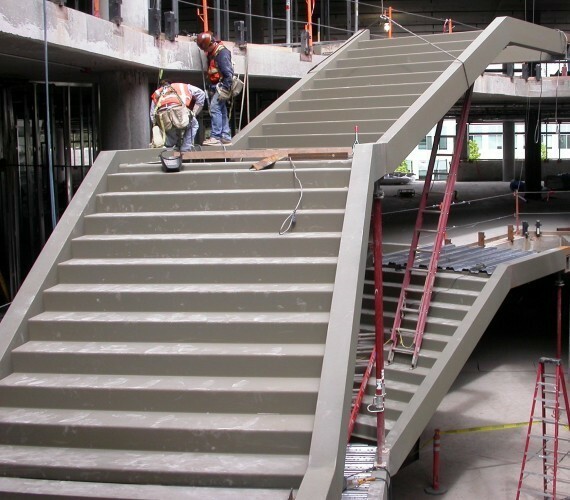 Challenges included demanding detailing schedule for concurrent structures, extensive screen wall configuration and coating requirements, timely procurement of custom Teflon bearing pads required for floating end of pedestrian bridges, and a large grand stair system. 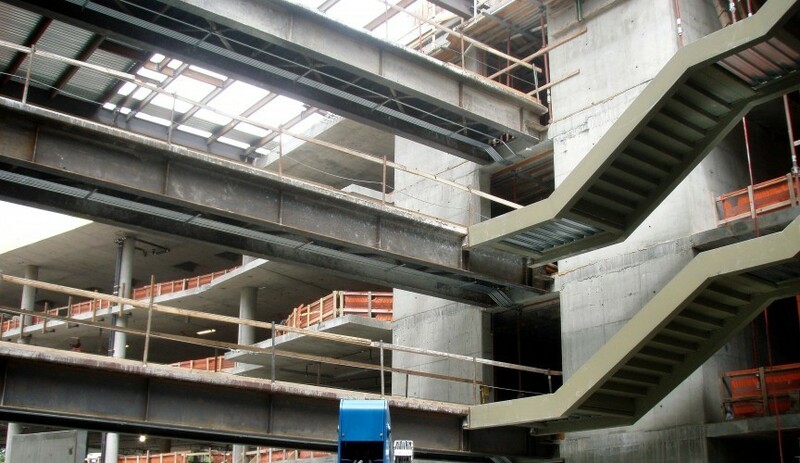 Oversize atrium beams required extensive preplanning for procurement and delivery.